The aim of this post is not to list in some definite order which rivers are the dirtiest, but rather bring to the attention of society the problems of almost all the rivers all over the world nowadays. That’s a warning and a red light stop signal. Each of us should care about the nature, or our grand children will know of the rivers, lakes and seas from the pictures only. The river close to my city is not in this list but it’s been prohibited to swim there for about 1o years now. 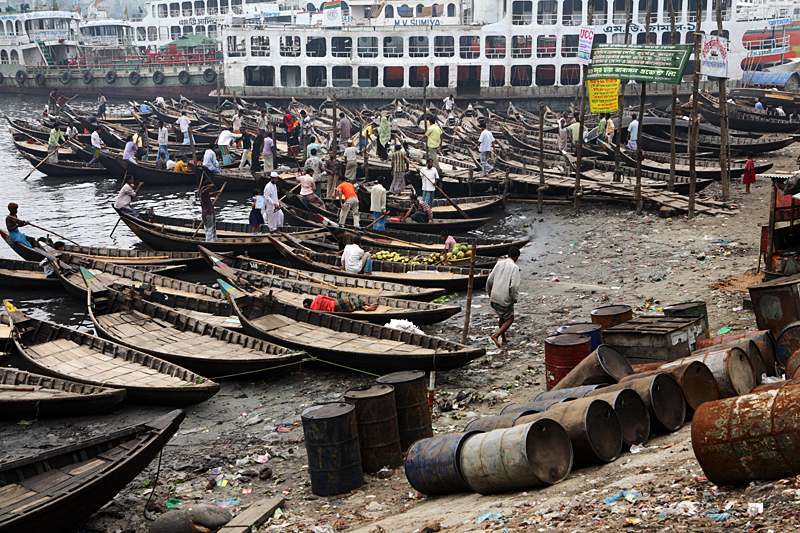 Sewage, garbage, waste from factories, fertilizers are the common reasons of water pollution everywhere on Earth. And if the city is a big one, the rates can be decreased tremendously, especially in the third word countries. Looking at the river and if there’s no garbage close to you, it’s hard to determine whether the river is contaminated. The rivers on the photos below may look “fine” but the facts speak for themselves. This is horrifying and this should be stopped. 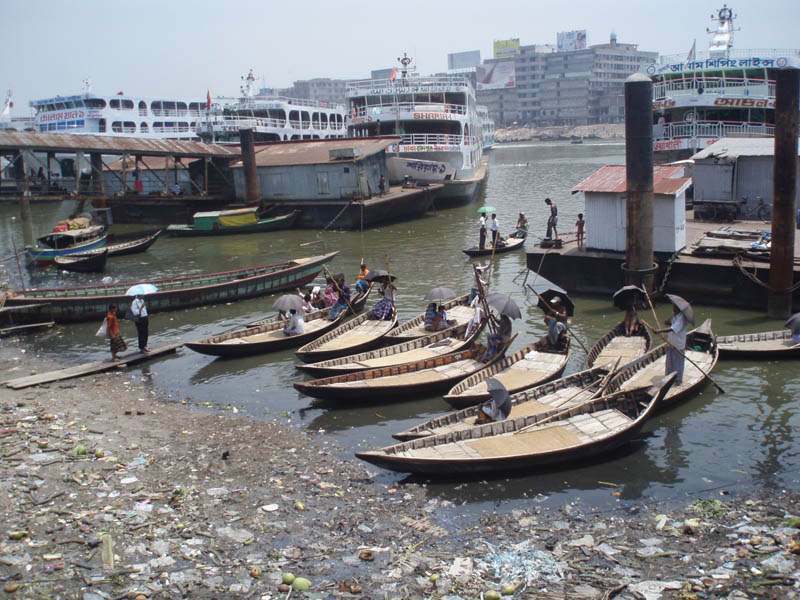 Buriganga is the main river flowing besides the capital of Bangladesh, awfully polluted with sewage waste ( about 80% is untreated and gets directly to the river) and industrial waste. 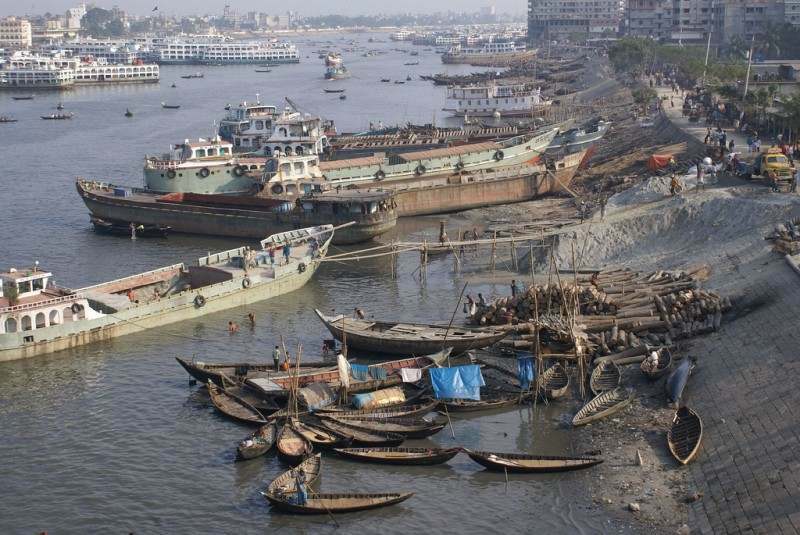 Here’s what said Khawaja Minnatullah, a World Bank specialist on environment and water management this year just a month ago: “The pollutants have eaten up all oxygen in the Buriganga and we call it biologically dead. It is like a septic tank. There is no fish or aquatic life in this river apart from zero oxygen survival kind of organisms…” Obviously the photos from below were taken in the previous years when the river was still “alive”. 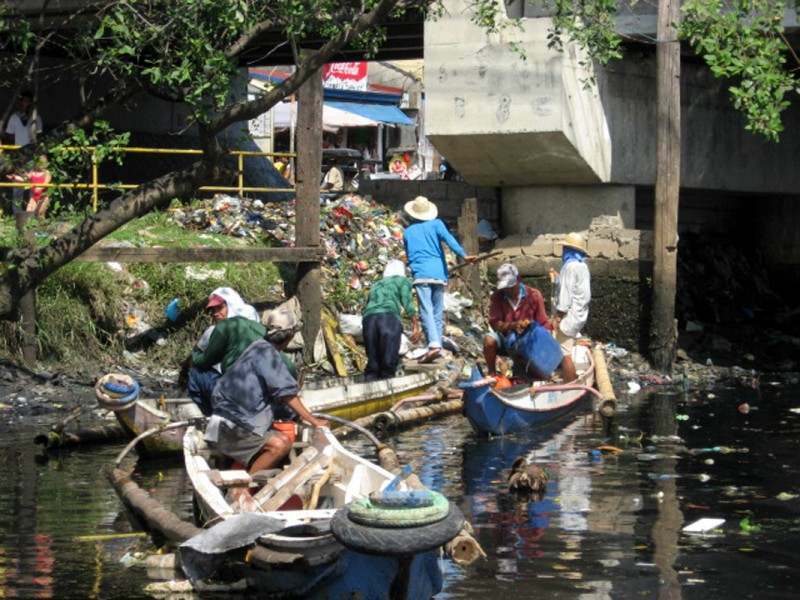 Marilao river got to the list of the dirtiest rivers after the Greenpeace inspection in 2007. 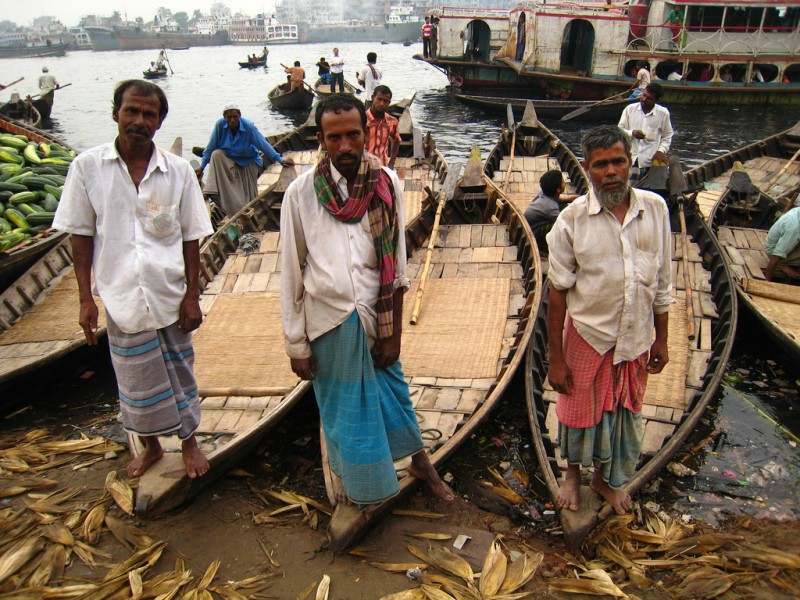 Pollution mainly comes from tanneries, textiles and electronics recycling industries operating close the river. 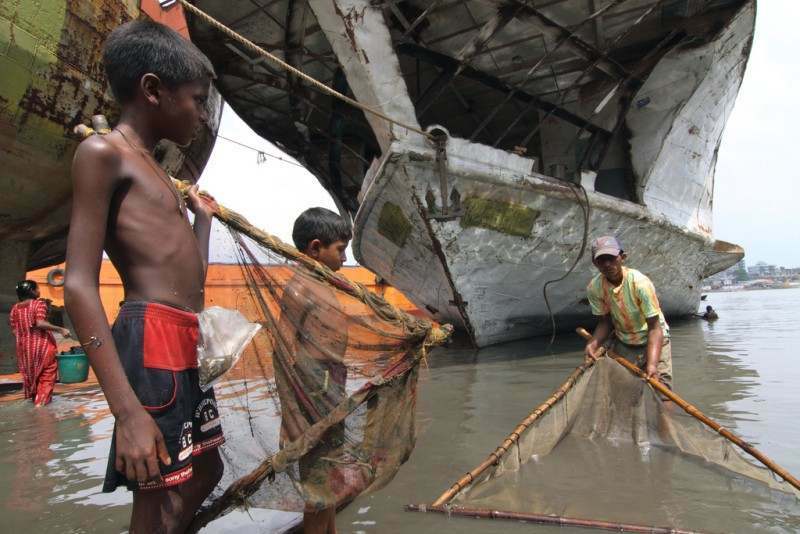 The locales don’t dare to catch and eat fish from Marilao as the waters contain toxic chemicals such as chromium, cadmium, copper and arsenic. 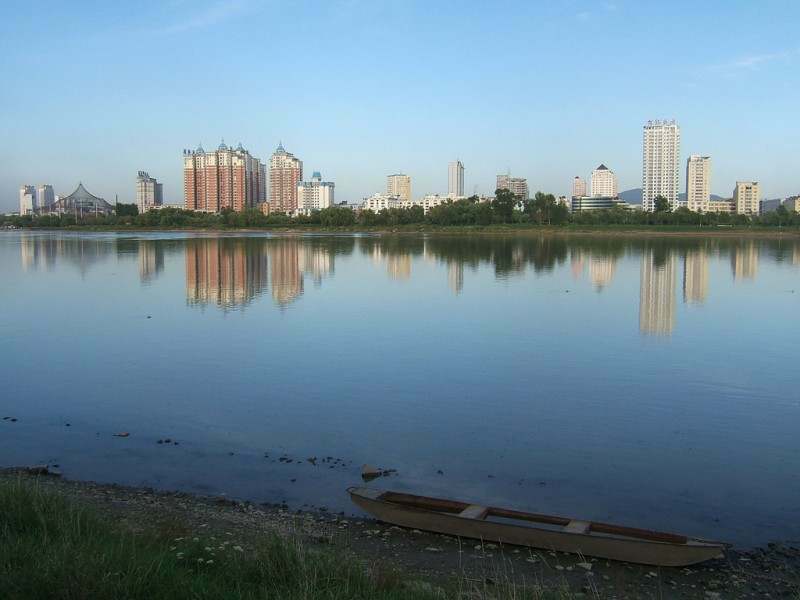 Though some of the areas don’t actually look polluted, the water in the river is very dangerous. Check the gallery of the Water is Life Photo Contest and you’ll see that many rivers in Philippines are suffering from high levels of contamination. 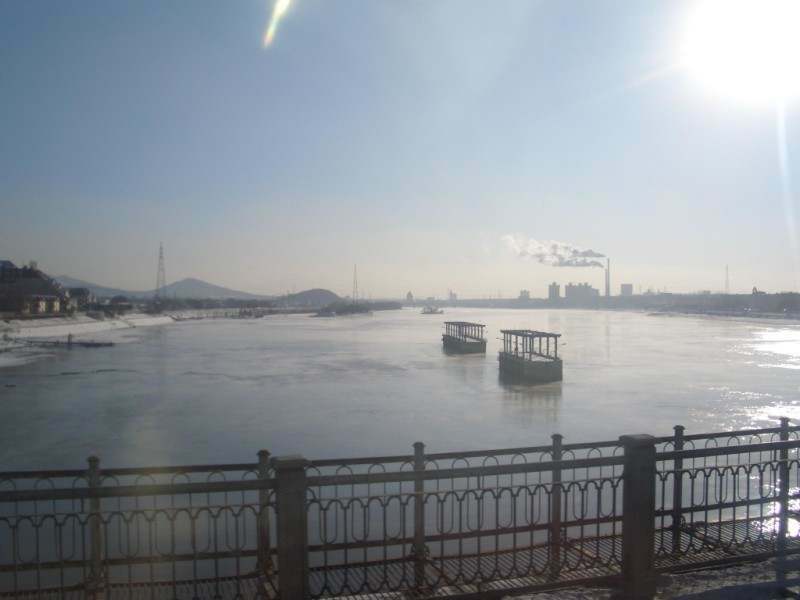 Songhua is the river in the Northeast China that was contaminated with benzene in In November 2005, which lead to a shutdown of Harbin’s water supply and threats of a Russian lawsuit against China. SEPA (State Environmental Protection Administration) has developed the plan meant to clean the river, where all the small paper mills and chemical plants along the river will be shut down and new waste-water treatment facilities will be set up. According to the stats the situation is getting better so I hope that the river will be saved. The Pasig has been a biologically dead river for almost 20 years. 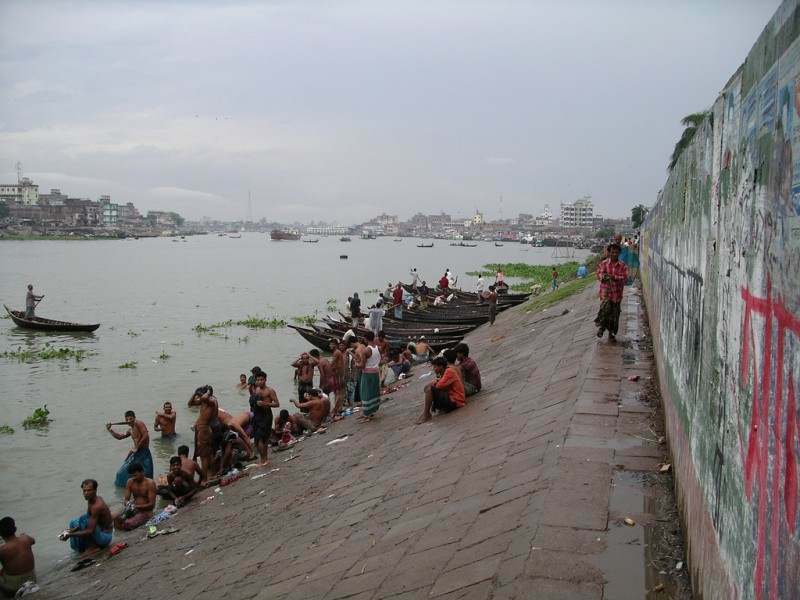 Being the center of commerce, it became a victim of urban pollution, its canals served as sewerage for the domestic and industrial wastes from factories and slum communities that sprouted on its riverbanks. 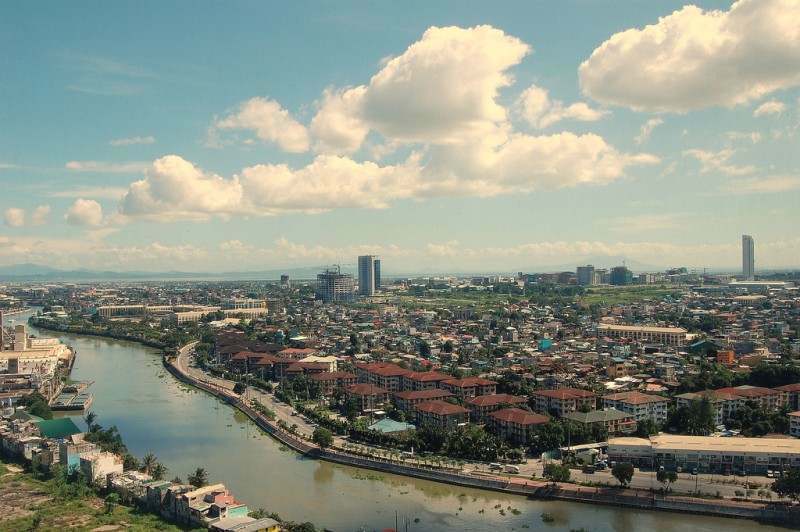 In April 2009, the Pasig’s riverbank easements have been declared environmental protection areas (EPAs) and have been transformed into public parks and esplanades. Now there’s the hope that things will change for the better. 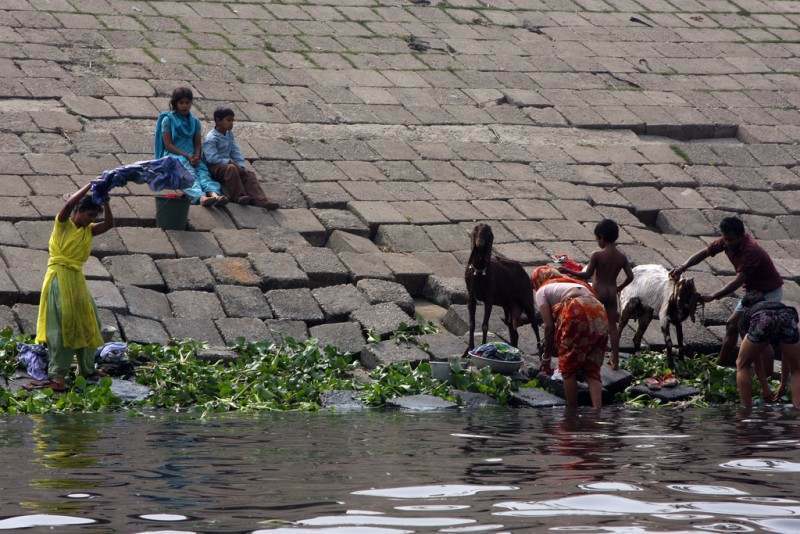 Though the river is dirty, this doesn’t stop neither children nor grown-ups from bathing there. Nice article, but i would have love if there was order like which one is the worst, for me the worst is of Indonesia. This is pretty sad to see. We should take better care of our mother earth. Thanks for bringing this to light with this post. Sorry, The Mississippi River shouldn’t be included in this list. The pdf linked to is propaganda published by eviro-wackos to maintain their federal funding. It has a good concentration of mud and silt (same as in Mark Twain’s day) but the chemical pollution isn’t nearly what the hysterical leeches claim. I drink New Orleans tap water regularly, it is rated among the highest quality urban water supplies in the world. It’s just the way things are in the U.S. for SOME people. They have to play chicken little to make a living, and it discredits their entire profession. 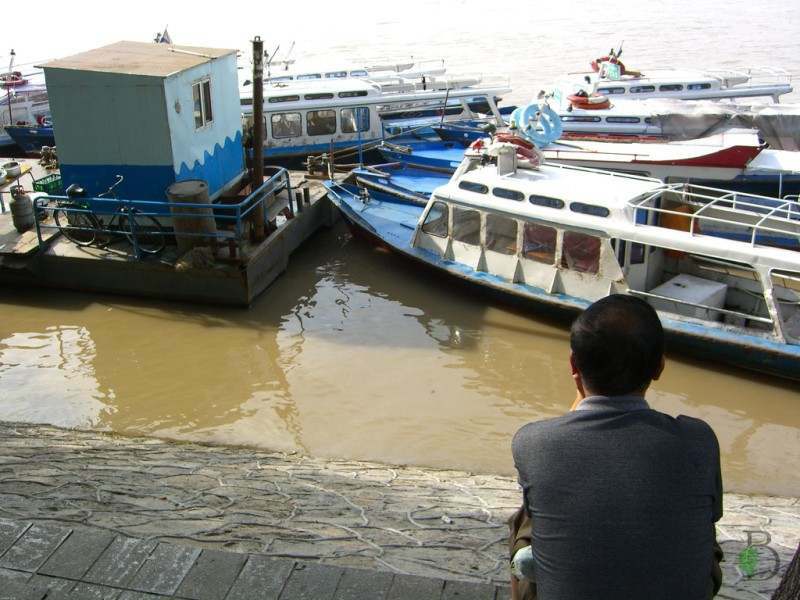 Some of the rivers shown here are shockingly dirty! It’s a pity that too many people don’t value our planet and just won’t stop until it’s too late. Also I’d like to add Amur in Russia to the list, because it’s practically gurgling with chemicals (many of which come from China). Shame on the leadership or the lack there of . Education = Birth controle!! Our world is over poulated and cannot support so many people and yet the un educated want rino horn. We all can make a difference. The human race has had the chop. How did this happen? The saddest thing. I will become a tree-hugger. They should clean the water…. they should be grateful that God made un this land. Citadel River is the dirtiest river. Look it up! This is shocking.Two Twin Bros Writers are soon coming up with their comments. Kapit Bisig Para sa Ilog Pasig (Holding Together for Pasig River) – an advocacy to clean and rehabilitate the Pasig river in the Philippines. Kapit Bisig Para Sa Ilog Pasig will look to hurdle these obstacles with the most comprehensive effort to clean the Pasig River. Under the guidance of the ABS CBN Foundation and its key programs – Bantay Kalikasan, Bantay Bata and Educational TV – the thrust will be a multi-aspect, multi-faceted approach to clean the river and keep it clean. Collaborating with key Philippine government agencies*, Kapit Bisig Para Sa Ilog Pasig has charted a seven-year campaign to tackle the pollution, help relocate informal settlers, provide livelihood opportunities and launch a major information movement. The hope is to revive a river and resuscitate a nation which had not seen the glory of the Pasig in over half a century. Wouldn’t it be better for mankind to die-off before the whole planet’s like that..? 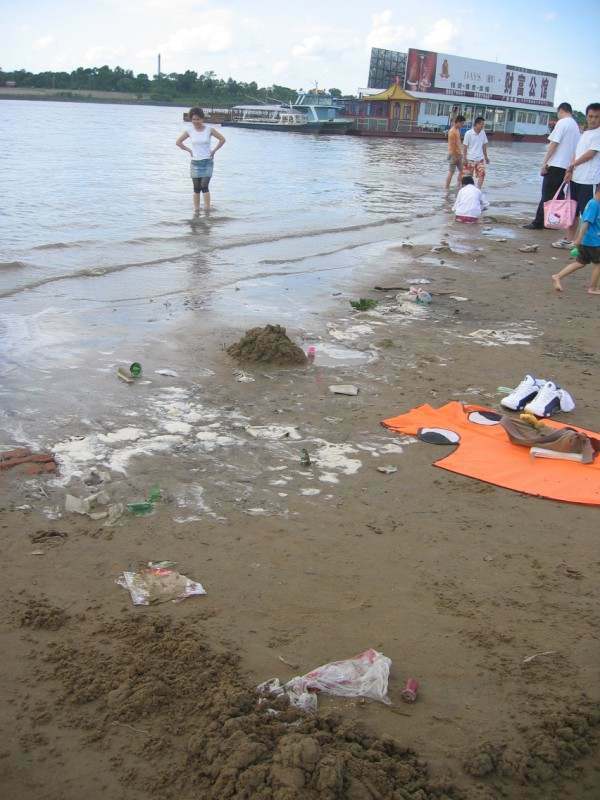 We have bio-remediation to clean these waters of chemical and oil pollution but debris need to be removed physically. Major problem is funding as no govt is willing to spend but if people of the area or philanthropic or environmentalist com forward, we can do wonders cleaning these rivers and make it rehabitable. Our proven technology reduces most of the toxic material. If any one interested, pls revert back to us for more information.